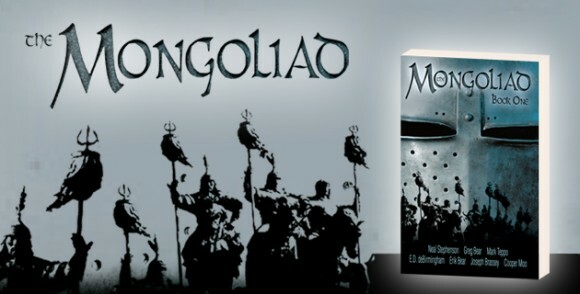 Tras una larga pausa de medio año, esta semana he terminado de leer The Mongoliad. He seguido hasta el final con la versión publicada por entregas. No coincide con la versión en forma de libro y no necesariamente es la que más les gusta a los autores, según leí. Pero era la que había comenzado, a la que le había cogido cariño y que me tenía hasta más enganchada que Juego de Tronos. Como despedida, dejo aquí algunas citas de algunos personajes de la novela. Parafraseando a los autores, no son necesariamente mis personajes preferidos (aunque varios sí). Son las citas que tenía anotadas. Las negritas son mías. Ah, y hay un poco de spoiler. Poquito pero hay. “So what do you think will become of the Empire?” he asked Lian. “Will the Mongol Empire suffer the same fate” he asked. She paused, the sleeve of her robe pulled halfway up her arm, and gave him a raised eyebrow. It was a look she had given him many times during his studies, an expression that said: This question is not mine to answer. Por cierto, he encontrado una ilustración de Lian de Mike Grell para el libro. Gansukh smiled at the mountain man’s tone. Respectful, and yet slightly challenging at the same time. Tarbagatai hasdknown who he was when he had approached , and he was certain the story of the deer in the Khan’s garden wasn’t the only story that had been passed around. The cup at the Khan’s feast. The wrestling match with Namkhai. His on-going feud with Munokhoi. All of these stories contributed to his reputation among the Imperial Guard, but every member of the Guard had been hand-picked for their own prowess and reputation. Stories meant little; actions counted for more. He’d dreamt of the possibility of freedom, or at least dying in the act of attempting to secure his freedom, and now, he could not quite believe his dream had come true. The rage he had expected to be oursing through him was stangely absent. As he stood free of the cage, he felt only an all-emcompassing certainty of purpose. Cnán caught Raphael looking at her, an oddly gentle look in his eyes, and she gave him a wistful smile before ducking her head and kneering her horse lightly to get it to trot a little faster. Home, she tought, Where is that for a lost little leaf like me? Their inability to communicate effectively was just going to make matters more complicated. In battle, the side that had to do the least amount of communicating up and down the line was the side that operated most effectively. They knew the only way to complete any journey is to focus on the ground in front of them. Place one foot, and then the next. Do not look at the unmoving horizon or the immobile sun. One step at a time. A Shield-Brethren can always take one more step. Each of our lives have no intrinsic value, Feronantus had replied, quoting one of the old maxims inflicted upon all the trainees during their first year of lessons at Petraathen. Except that which we give them by our deeds, and by how our comrades remember us. Haakon lay back down on the floor of his cage, and after a few moments of trying to find comfortable position on the unyielding floor, he fell asleep. A plan always quieted the mind. It was best not to worry about such possibilities. They were committed to their course of action now, and as fraught as the spontaneous plan was, they were actively attempting to escape. She tried very hard no to rely on the cup’s light or warmth to feel safe, but the nights when she fell asleep hugging the Grail were the nights she was without fear or anxiety. Those were the nights when she knew what she had to do.